What is arts writing beyond the idea of conventional critique? How can writers respond to artistic experiences in ways that expand and extend the value and impact of the artistic work? 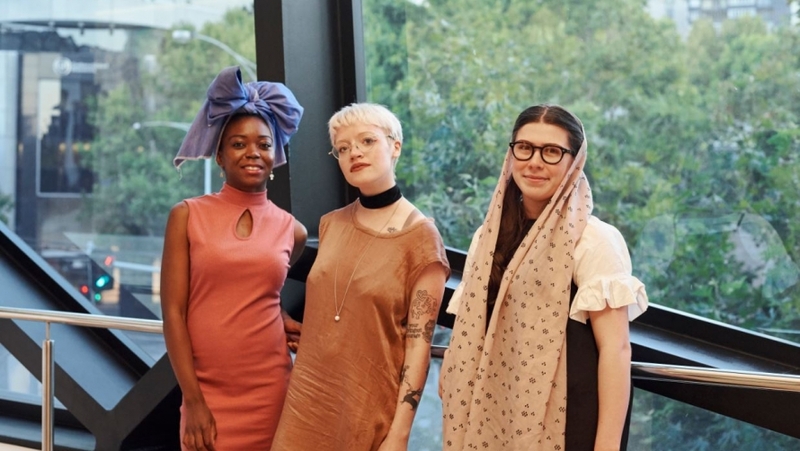 Meet Piriye Altraide, Jini Maxwell and Adalya Nash Hussein, three outstanding and diverse emerging female writers taking part in Melbourne Recital Centre’s 2018 Writers-in-Residence program at Melbourne Recital Centre. Through their experimental modes of criticism poetry including hybrid non-fiction, cross-platform multimedia and illustrated hypertext, these three impressive creative writers share their responses and interpretations to a range of music experiences at the Centre across the year. Piriye, Jini and Adalya are joined by acclaimed Australian author, journalist and 2017 Writer-in-Residence at Melbourne Recital Centre, Chloe Hooper to discuss their approaches to and influences for arts writing and criticism.